The problem stems from the fact that her best friend is named Hunter and, well… he’s kind of (totally) hot. It’s hate at first sight when her fiancé, Jon, and Hunter meet. Jon’s convinced that Hunter is in love with Esme, and that Hunter must be out of the picture if their upcoming marriage is to succeed. 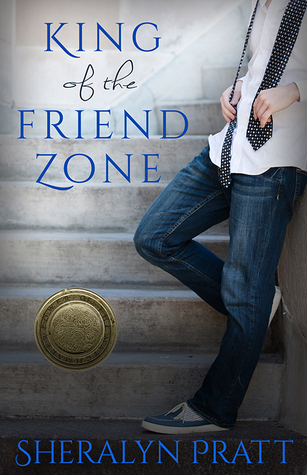 If you want to drown yourself in an amazing romance, King of the Friend Zone is the book for you. As soon as I picked it up, I fell in love with the characters and the writing. I didn’t put it down until it was finished. King of the Friend Zone makes you yearn for friends and love like Esme has. That love and friendship are what take this book from good to amazing. It makes you a part of the book and gives you a feeling of home while you’re in it’s pages. I personally feel in love with Hunter. From page one. His heart is so obvious even hidden behind his gruffness. There were times I was reading that I felt like I was losing my best friend and times when I felt like I was falling in love. It’s astounding how Ms. Pratt is able to pull me into her fiction. One of the things I love most about King of the Friend Zone is how she gives a glimpse of how a man can begin to corrupt a relationship into toxic. It gives the signs and will hopefully give someone the push they need to leave – or give an outsider the reminder they need to stay supportive. Wow! King of the Friend Zone is a book not to be missed! Thank you to Sheralyn Pratt and Book Blasts & Blog Tours for generously offering this book to me for review.